i am excited to share with you The fourth and final design in my Topography hat pattern collection, the Pylon hat! 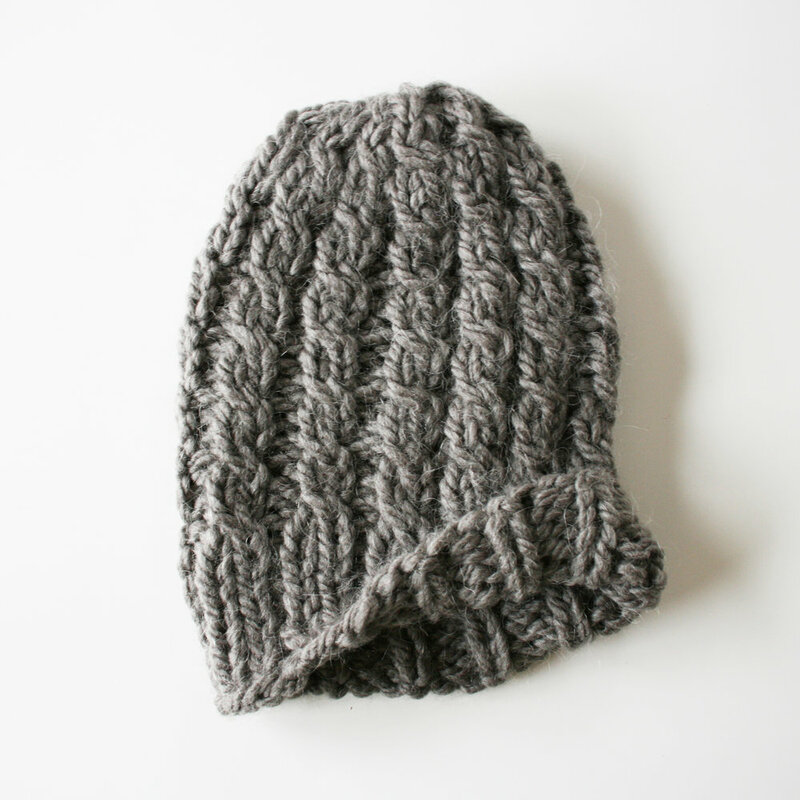 Beginning with an off-beat ribbing pattern that is then worked into thin cables up through the crown, Pylon is is a modern oversized take on a classic ribbed hat design. And since it calls for a category 6/super bulky weight yarn Pylon knits up quickly, satisfying that “instant gratification” itch that i know i feel on the regular. not to mention, pylon is an attractive unisex knit with just the right amount of slouch. the easy but interesting and repetitive cable design makes for a meditative knit that is fun for beginning or seasoned knitters. the knitting pattern for Pylon is now available here and on ravelry here! 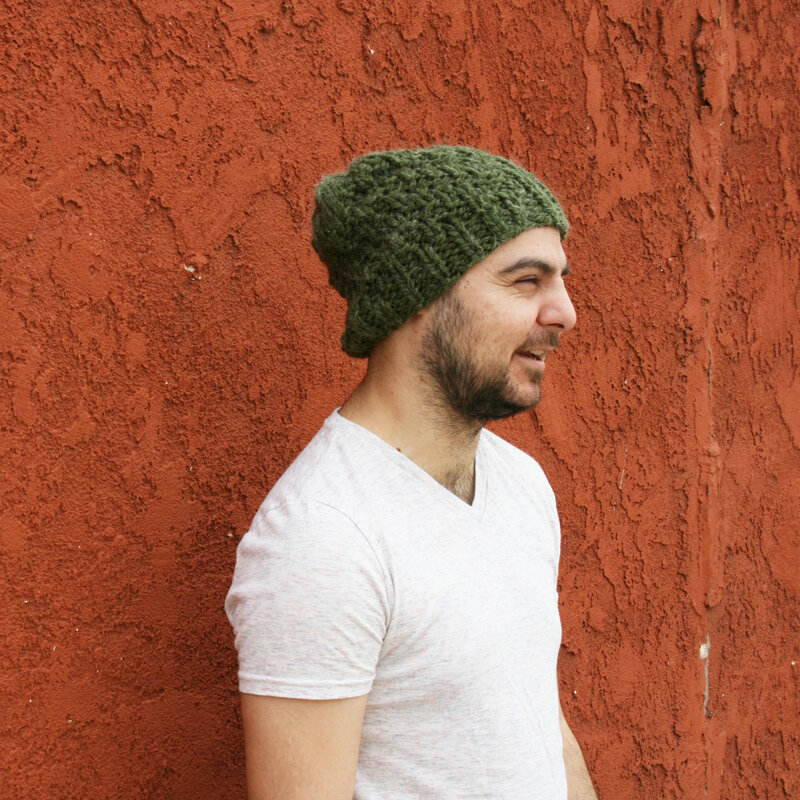 The third design in my Topography hat pattern collection is Taiga, a beanie-style hat worked up in worsted weight wool that features a stunning colorwork pattern around the body of the hat. It is the second colorwork design in the collection after Architrave. 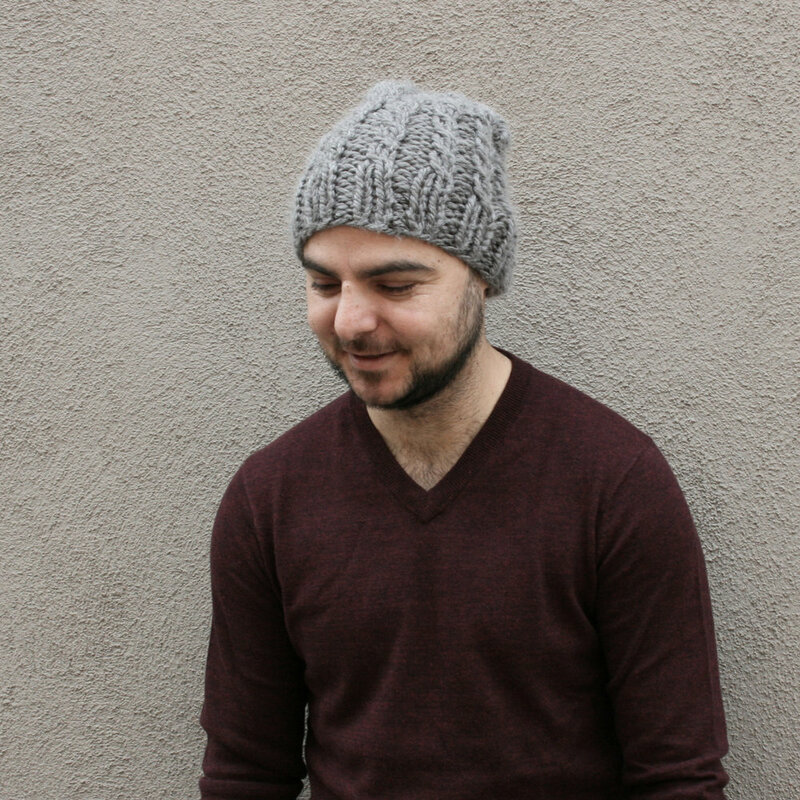 I designed the Architrave hat pattern to be very beginner-friendly, using simple stockinette and a syncopated colorwork design that doesn’t require any techniques or adjustments to make the pattern look as it should. Taiga is also approachable to beginners but because the colorwork is continuous, a slight adjustment technique is recommended to fix the inevitable color jog. So, I put together a simple step-by-step tutorial for this cool knitting trick that will help make your Taiga hat look flawless! This tutorial is included in the pattern, but I wanted to make it available for anyone looking to add this technique to their repertoire. to avoid this jog, there is an easy technique you can employ that helps to straighten out the line between the first and last stitch. It doesn’t make the row perfectly straight, but it makes the transition much less perceptible, and gets even better after blocking. Before starting this tutorial, follow the pattern for Taiga up until the first colorwork round. After completing the first round of color change, you are ready to learn to fix the color jog. Complete one round of colorwork knitting every stitch in the round. slip the beginning of row marker from the left-hand needle to the right-hand needle. Slip the right-hand needle purl-wise into the right leg of the stitch below the first stitch on the left-hand needle. basically, you are going to work the first stitch of the round that came before the colorwork round you just knit. use the right-hand needle to lift the stitch up and onto the left-hand needle. Knit these two stitches together, using the same color as the colorwork round. slip the newly-knitted stitch back onto the left-hand needle. You are now ready to begin the new round (in a new color)! that’s it! the technique is very simple and easy and makes a great fix when doing colorwork in the round. Happy Knitting! 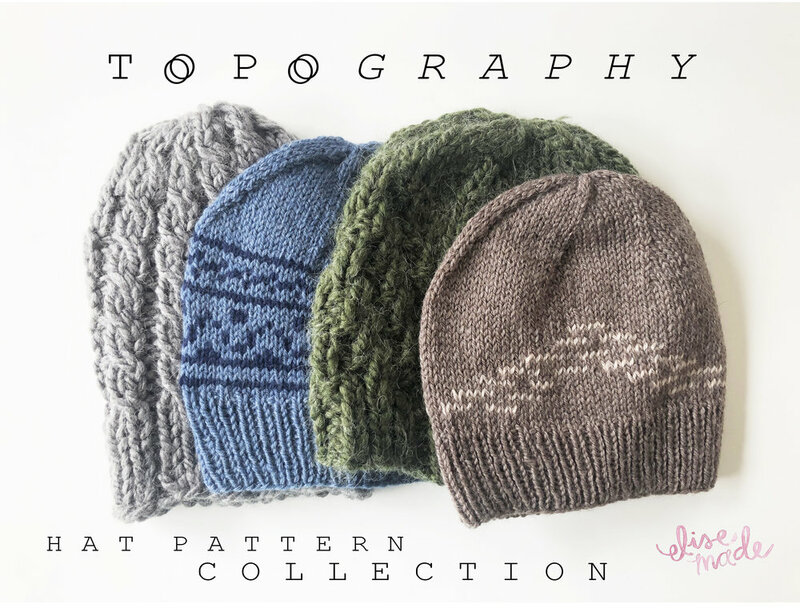 Taiga is the third hat design in my Topography pattern collection, and the second colorwork design. evoking traditional nordic sweater motifs and chilly winters, the Taiga hat is a unique and modern unisex accessory. Worked up in worsted-weight yarn, Taiga is a versatile accessory that transitions well from fall to winter, and through the chilly transition into spring. A bit more challenging than the colorwork for the Architrave hat, the design for Taiga is still approachable for stranded colorwork beginners. With consistent color changes every few stitches through each row of the chart, carrying color floats and maintaining good tension is easy. To ensure there are no color jogs in the finished work, a “no color jog” technique should be applied after very row of the chart. check back in tomorrow for a step-by-step tutorial! the knitting pattern for taiga is now available as a downloadable pdf! get it here or download it from ravelry here! happy knitting! 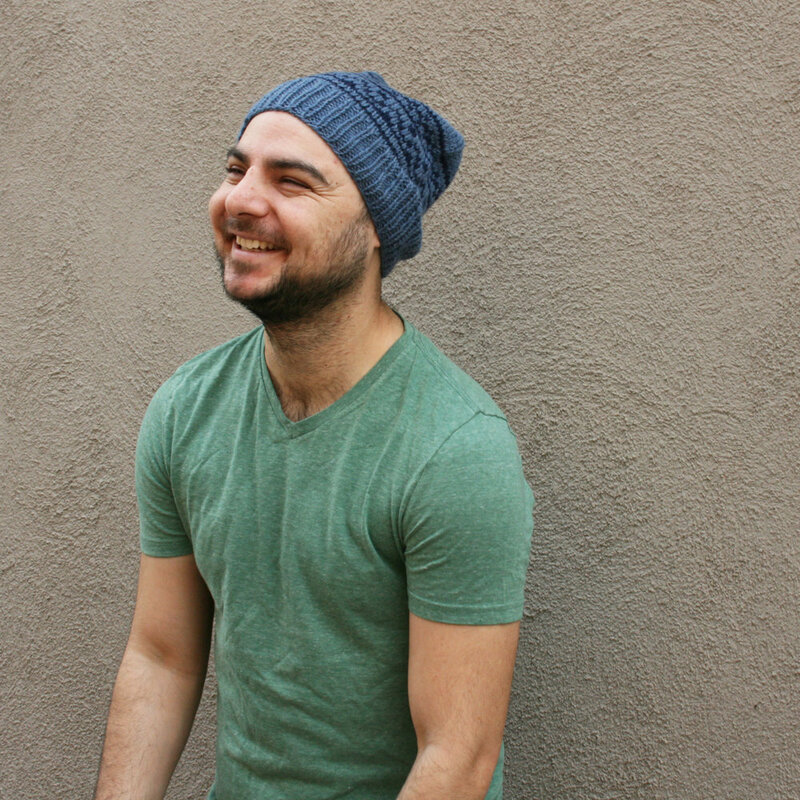 The second hat in my Topography pattern collection is Silicate, a chunky-weight beanie that is designed to be reversible! This hat is worked from the bottom up starting with a nice 1x1 ribbing that both looks great and helps the brim keep its shape. Using simple combinations of knit and purl stitches, the pattern creates a series of stacked chevrons that give Silicate great texture and visual interest. 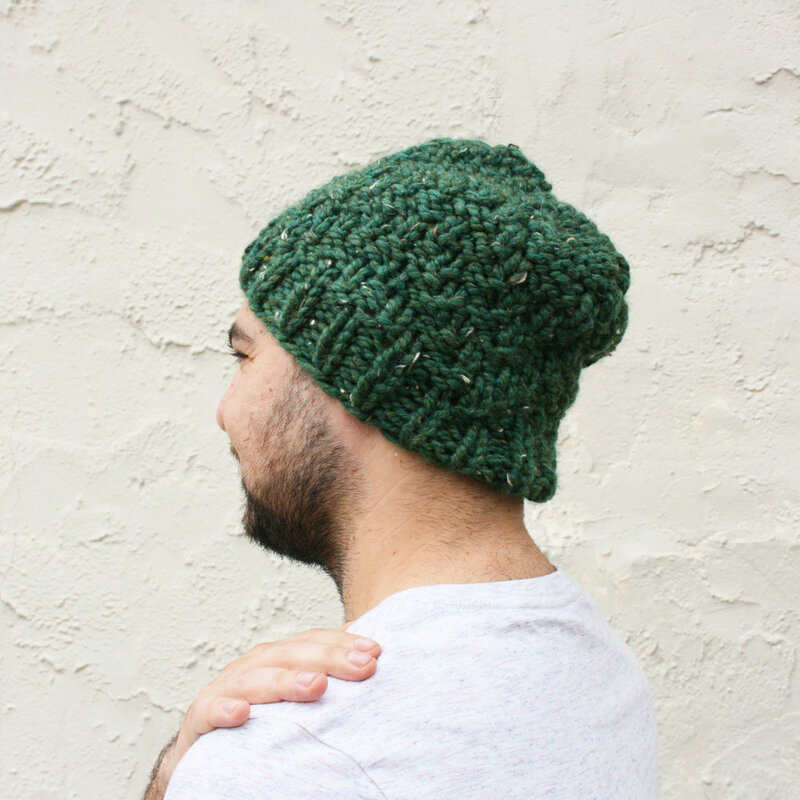 The contrasting stitch pattern changes the look of the hat depending on which way it’s worn: the “knit” side shows off a neat 4-pointed crown, and the “purl” side highlights the chevron pattern. The stunning result is two different looks in one hat! 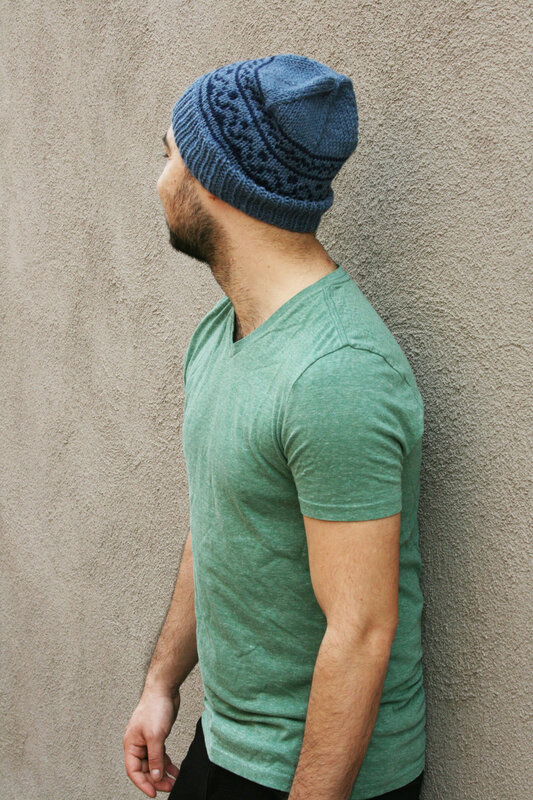 Silicate is a cozy and versatile unisex hat that would look great worked up in virtually every color. the knitting pattern for silicate is now available as a downloadable pdf! get it here or download it from ravelry here! happy knitting!